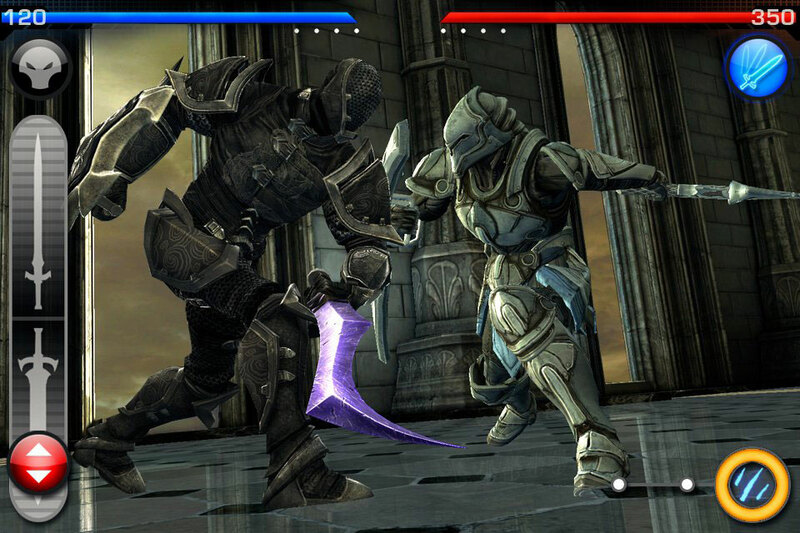 Epic Games' handsome iPhone and iPad hit Infinity Blade adds its promised multiplayer side this Thursday, May 19 with the Infinity Blade: Arena update. And if you like kooky hats in your multiplayer games, this update is for you too! In addition to that Game Center-powered player-versus-player mode, Infinity Blade: Arena also adds a bunch of new content, including Survivor Mode, new items and "holiday helms." We'll let Chair and Epic bullet point those new features for you. Enter the Arena: Assuming the role of Titan or Knight, Infinity Blade fans can now challenge their friends to multiplayer matches online via Game Center! Survivor Mode: Players face off against a legion of Titans to see how far they can go! New Holiday Helms! A new helm for every season, ready to be played and mastered! More than two dozen new magic rings, swords, shields, and helmets for players to collect and master. New Facebook integration allows fans to view their character on their profile and take a screen grab to share with friends.